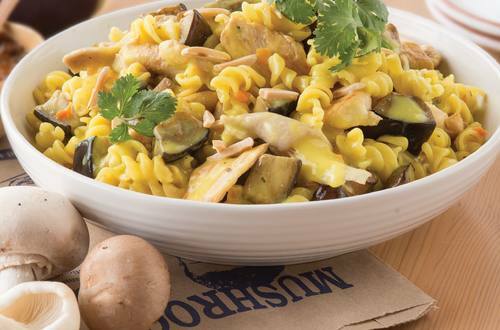 Try our authentic chicken curry recipe with mushrooms, eggplant & almonds at home. Cook for friends or the entire family, serves 3-4 and ready in just 20 minutes. 1 Heat olive oil in a large saucepan or fry pan and brown chicken, mushrooms and eggplant. 3 Sprinkle with almonds before serving.